Today we are proud to announce that Sky Valet Cannes is the first FBO in the world to obtain level 2 certification. 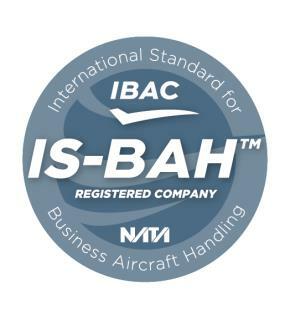 In 2015, Sky Valet Cannes was the first European FBO to obtain the IS-BAH certification (International Standard for Business Aircraft Handling). Created by Business Aviation operators and professionals and specifically adapted for the business aeronautics sector, IS-BAH is delivered by the International Business Aviation Council after an independent audit. This certification is required to meet numerous criteria. Achieving level 2 of the IS-BAH provides an additional guarantee to customers and partners of the FBO of Cannes Mandelieu in the fields of security, safety, service and the environment. Michel Tohane, Director of the General Aviation Business Unit and Sky Valet, has said “Sky Valet is the leader of its sector in Europe and aims to be the market leader in terms of quality of service. This world first is a source of pride that allows us to strengthen our position, highlight our ground handling expertise and maintain a partnership with our Business Aviation customers based on trust." This certification is part of the development strategy for Sky Valet, FBO specialised in ground handling services for Aéroports de la Côte d’Azur Group’s Business Aviation and is aimed at internationalising and establishing a pan-European FBO network in key locations. Sky Valet operates at 22 airports in France, Spain and Portugal and aims to generalise IS-BAH standards throughout its entire network. Sky Valet will be attending the European Business Aviation Convention & Exhibition (EBACE) which will be held in Geneva from 22 to 25 May 2017 (no. C34).